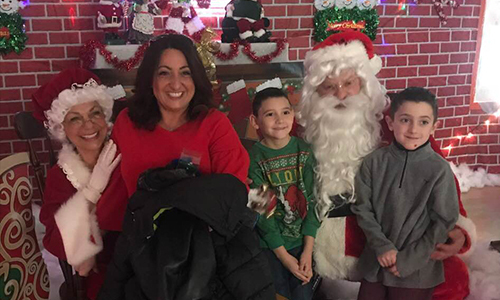 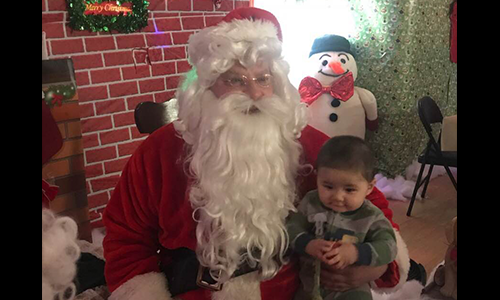 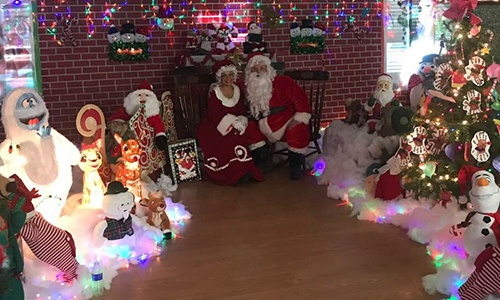 The center is transformed into Santa’s wonderland for a memorable event for the whole family. 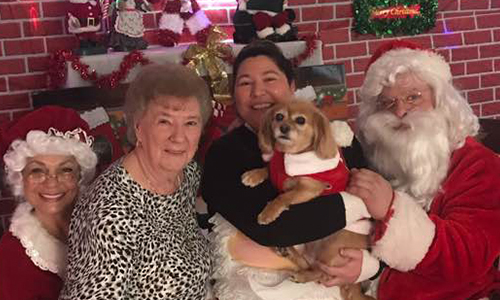 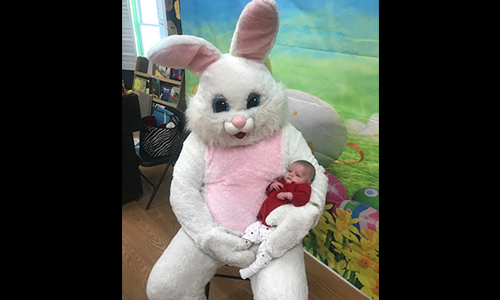 Every year, the Easter Bunny joins us for a special holiday event! 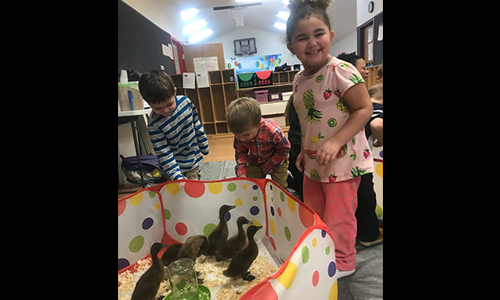 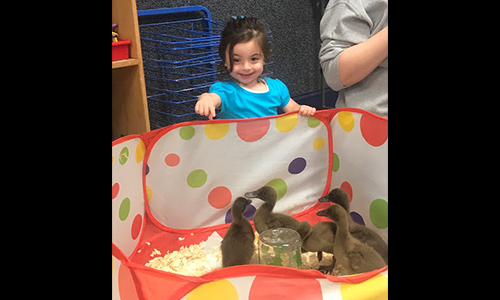 The Easter Bunny brings ducks, chicks and rabbits for petting! 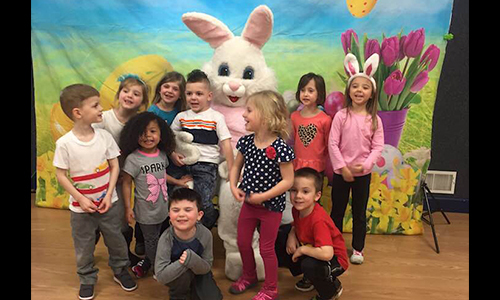 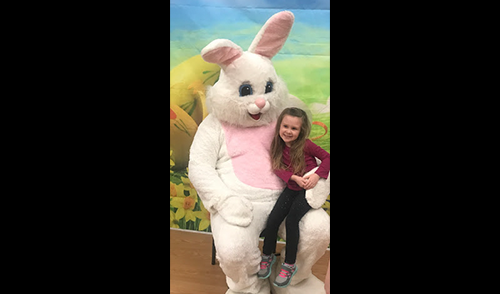 This is an enjoyable and convenient opportunity for photos and fun with the Easter Bunny! 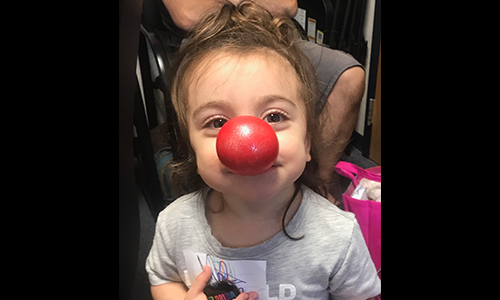 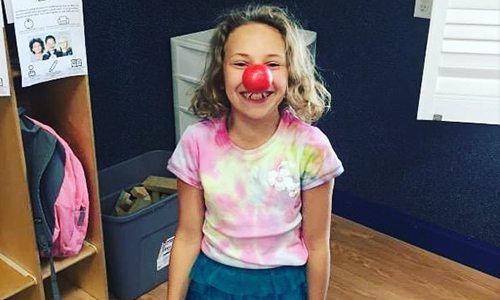 Fallone’s celebrates Red Nose Day to help end child poverty. 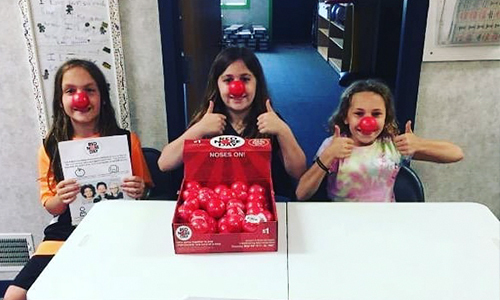 The children come together to sell red noses to raise money for a very beneficial national charity! 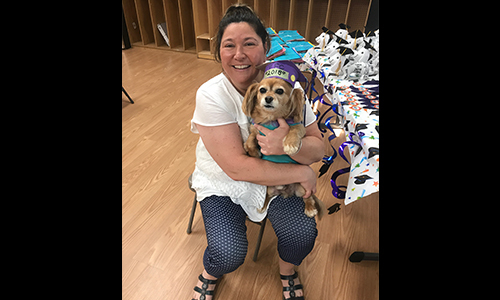 Here at Fallone’s we love to celebrate! 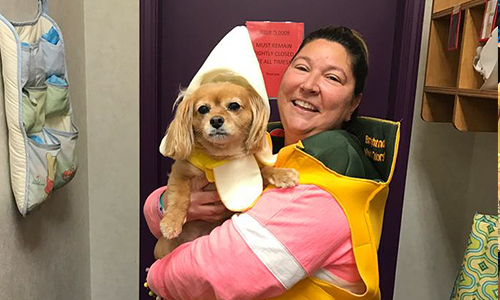 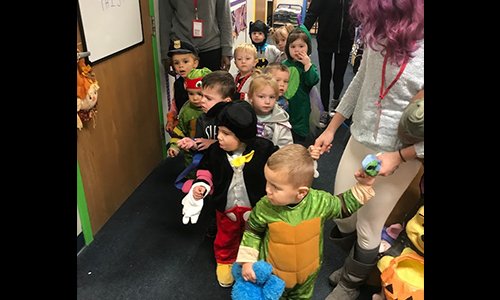 For Halloween we encourage staff and children to wear their most unique costumes! 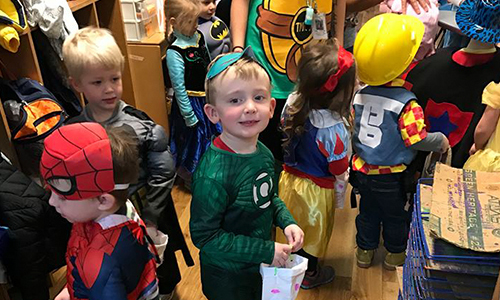 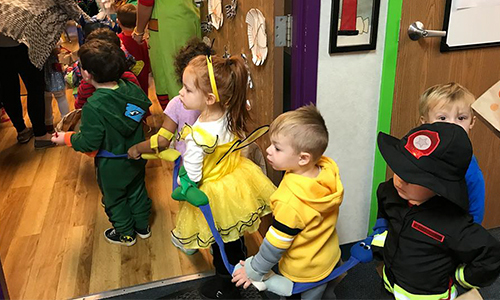 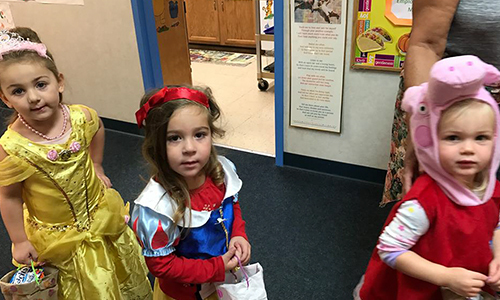 We have class room Halloween parties and trick or treating for all ages, as well as a Haunted House Fright Night for our older students and staff! 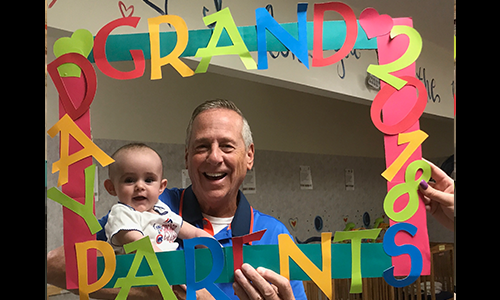 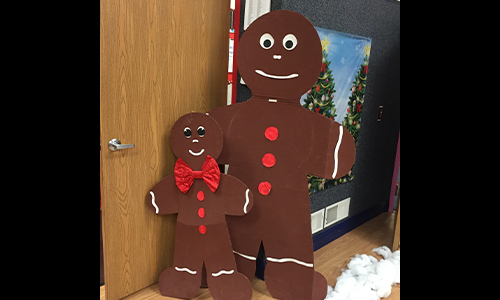 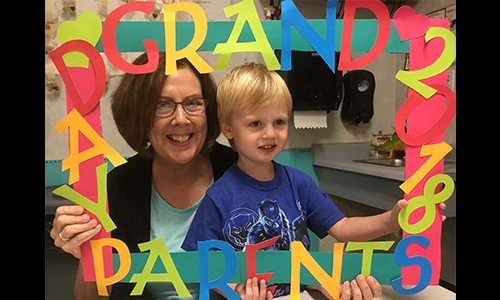 We celebrate Grandparent’s Day with in-class festivities, games, crafts, tea and cookies! 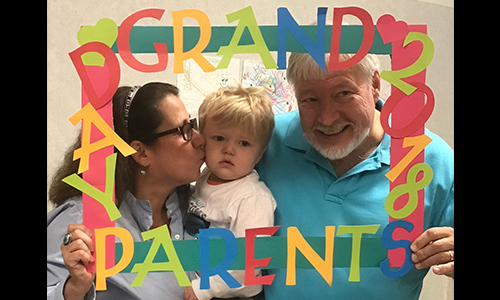 The children invite their grandparents to enjoy the day with them to commemorate their special family connection! 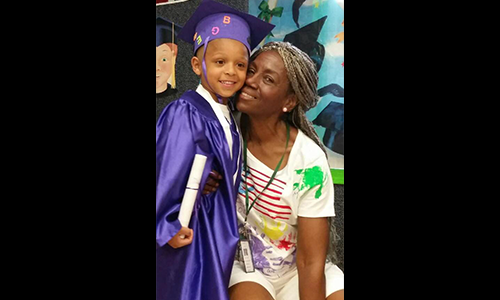 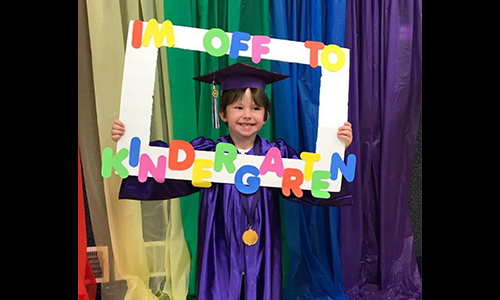 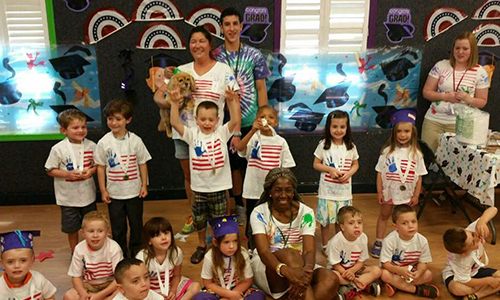 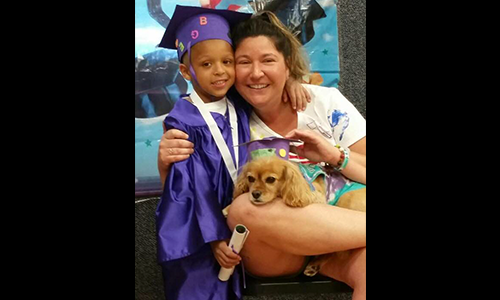 The graduation ceremony is a time to celebrate all of our pre-schoolers hard work over the course of the year. 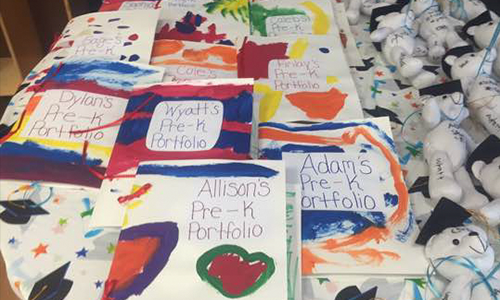 Each child receives their graduation portfolio which culminates all their pieces of artwork and lessons learned. 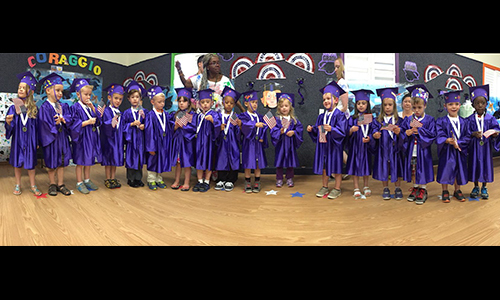 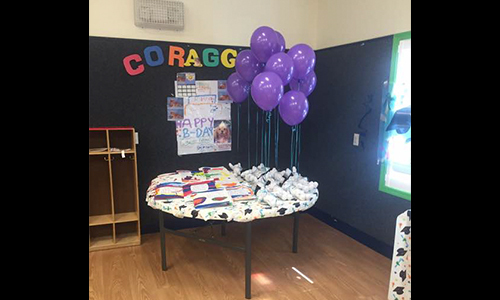 We enjoy this special time as we send off our friends to a new chapter; Kindergarten!